Survival Frog is one of the most frequently visited and top-selling online survival stores on the prepping market. After being launched in 2009, it has quickly become the most trusted source of survival essentials. They began as Peak 10 Publishing, selling books, CDs, and DVDs, and have slowly worked their way toward physical survival and outdoor gear. Their mission is to educate individuals who put the safety of their families first and provide them with high-quality survival equipment at reasonable prices. Just look at it like this, if you always remember to lock your door when you leave the house and accept natural and human-induced calamities as a part of reality, this Survival Frog review will definitely interest you. Assemble temporary shelters if you fail to reach your bug out bunker in time due to injury or other obstacles. While doing research for this Survival Frog review, we found out that the company is extremely dedicated to helping the community that shares their values. Since 2012, they’ve taken part in numerous charity actions and supported causes they and their community believe in. In the last 2 years, they’ve donated more than $10,000 to groups like TheKitchgen.com, Make-A-Wish-Foundation, the Elk Institute, Girl Scouts, and Toys for Tots. They’ve also donated over $6,000 to the Wounded Warrior Project, giving away a portion of the proceeds from their Patriotic Paracord Bracelet to support the cause. Survival Frog also encourages their employees to support their favorite charitable organizations and the company always matches 100% of any donation made by the people working with them. This is how much the company believes in their employees, the community, and the cause that started it all. 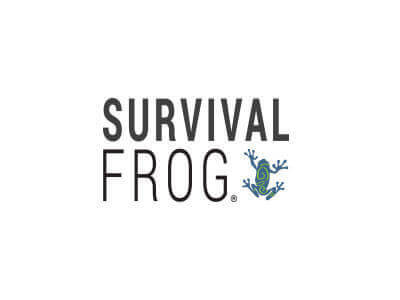 It would take us days to enumerate all the products offered by Survival Frog, so we’ll keep it light and offer you a comprehensive outline of their current portfolio in this section of our Survival Frong review. 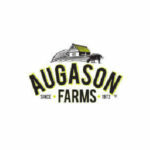 The sheer number of different items and brands shouldn’t come as a surprise since Survival Frog strives to create an “Amazon shopping experience” on their website. Educational – Here, you’ll find the theoretical approach to survival scenarios in numerous publications, survival checklists, user reviews, and survival gear video reviews. Survival Frog always has a certain quantity of items on sale and you should also frequently check their clearance bin as well. You can also order anything as a gift for your family and friends. Placing an order with Survival Frog is very easy and can be done on their website. The orders are processed very quickly, so you should call the company as soon as possible if you want to change or cancel your order. You can also contact the support team via email and chat. Note that you might not be able to cancel your order if it has already been shipped. Survival Frog accepts payments made via credit cards, PayPal, and Bitcoin. Note that they’re required by law to charge an appropriate sales tax for shipments sent to addresses within the state of Colorado. Survival Frog also offers discounts on group and bulk orders of selected products. If you belong to a co-op group business or charity in need of supplies, you can contact them at any time for a price quote. Lastly, the company offers a 6-month any-reason guarantee, so you don’t have to worry if you’re not satisfied with the product you’ve ordered since you can mail it back anytime for a 100% refund. A shipment tracking number will be emailed to you as soon as your order is shipped. As you have seen in our Survival Frog review, this is a top-tier company offering high-quality survival and camping essentials at very reasonable prices. They also go out of their way to help those in need and spread the culture of awareness all across the US. 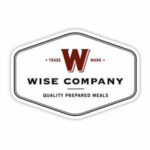 As such, we can only recommend this company as a perfect go-to place for all your prepping needs. Among numerous manufacturers represented and hundreds of different products, you’re bound to find exactly what you need when the next calamity comes knocking. 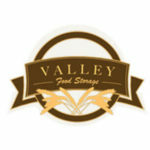 Great site for your survival needs. Please fix your link to their website. It isnt working. Survival frog is like amazon or ebay for people aware of the real world. Best survival company by far! You don’t need to look anywhere else but their site if you want to cram your shelter with proper gear and suplies. We gathered round in the hood and ordered gear and food for all of us and got it all much cheaper than we would in our local preping store. Who needs a refund when you’re getting only the good stuff. T nice to have the option though.